Jern Ern Chuah is the CEO and lead consultant of IP management and strategy at Advanz Fidelis Sdn Bhd. A founding principal of the firm, he established its underlying foundation and belief that intellectual property and business should be integrated, not dealt with separately. Based on this, Advanz Fidelis has grown to become a pioneer of innovative services in the Malaysian IP sector, offering a wide and unique range of IP services that cater to every stage of development of an innovation – from the inception of an idea through to commercialisation of the resulting product or service. Mr Chuah and the Advanz Fidelis team are known for pushing the boundaries in IP prosecution strategies, resulting in a number of success stories for novel IP filings and registrations in Malaysia. Mr Chuah’s day-to-day activities include providing strategic advice to clients on how to tie intellectual property and business activities together effectively in order to increase their competitiveness and success in their industries. He is also involved in helping corporations with their medium to long-term patent and trademark portfolio development and acquisition strategies. Mr Chuah is the IP adviser to the Sarawak state government and a consultant for several government-linked agencies and corporations. 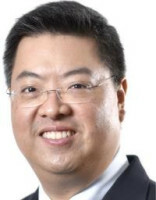 He is also active in managing IP-related issues in cross-jurisdictional IP transfers and disputes for Advanz Fidelis’s clients. He has a particular interest in the area of IP valuation. Mr Chuah was the sole representative from Malaysia and Southeast Asia to sit on the United Nations Commission on International Trade Law’s Experts Group on Security Interests in Intellectual Property, where he represented the views of developing countries. He remains very active in this field. Mr Chuah has nearly 25 years’ experience in the IP field. He is a registered patent, trademark and industrial designs agent in Malaysia, as well as a foreign member of the Chartered Institute of Patent Attorneys in the United Kingdom.